Feedburner. СМИ онлайн. Финансовые новости. Social media is becoming increasingly influential in shoppers' purchasing decisions. 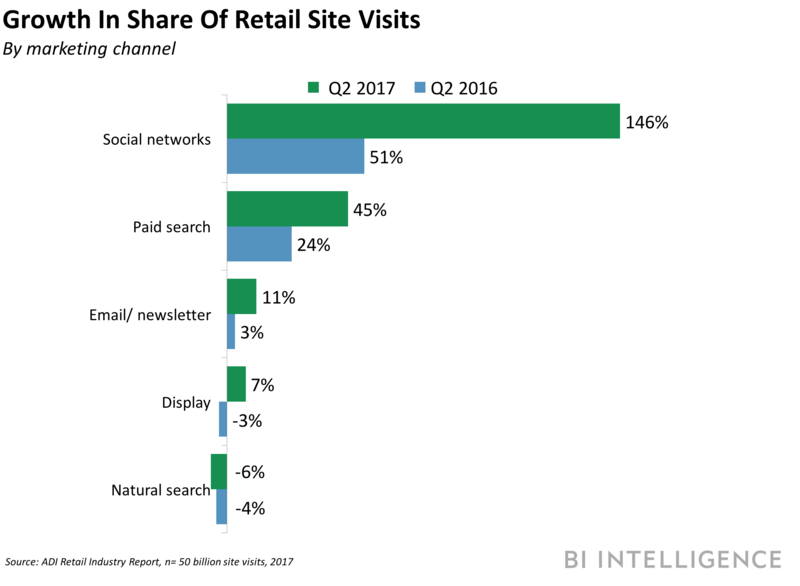 In fact, the top 500 retailers earned an estimated $6.5 billion from social shopping in 2017, up 24% from 2016, according to BI Intelligence estimates. 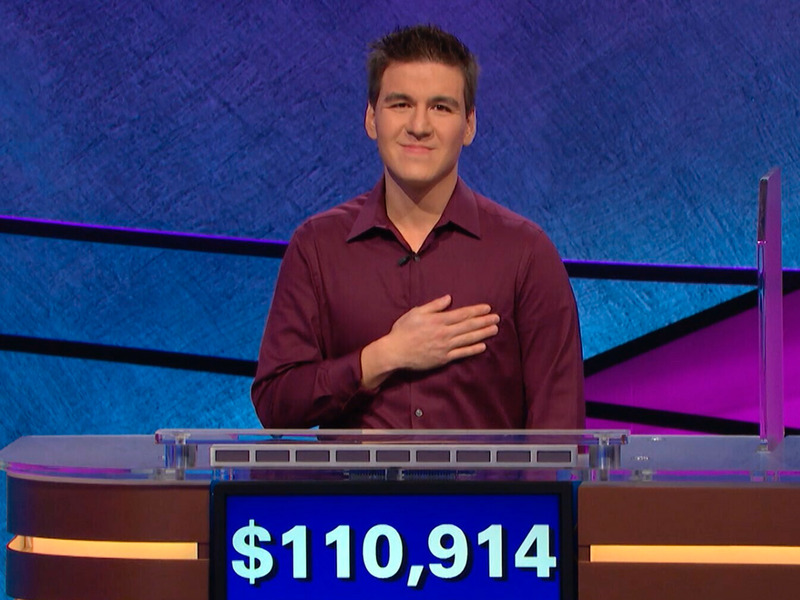 James Holzhauer, the current reigning "Jeopardy!" champion, is currently on an 11-day winning streak. The Las Vegas-resident and professional sports gambler has taken home more than $770,000 so far. But Holzhauer isn't just getting lucky. His impressive daily totals (four of them tallying upwards of $100,000) are a result of how he plays the game — knowing when to hit the buzzer, how much to bet on daily doubles, and which clues to knock off the board first. Other famous "Jeopardy!" champions used similar strategies to increase their earnings and guarantee a win. In 2014, contestant Arthur Chu used principals of game theory in determining how much to bet during Final Jeopardy to maximize his chances of moving onto the next day of game play. Just making it onto the show "Jeopardy!" is challenging enough. But winning the day once you're in the studio is even more difficult. Unless you know how to play the odds. BuzzFeed published a bombshell story in January saying that President Donald Trump ordered his former fixer Michael Cohen to lie to Congress about plans for a Trump-branded skyscraper in Moscow. No other news outlet matched the story, and the redacted version of the special counsel Robert Mueller's report appears to discredit it. 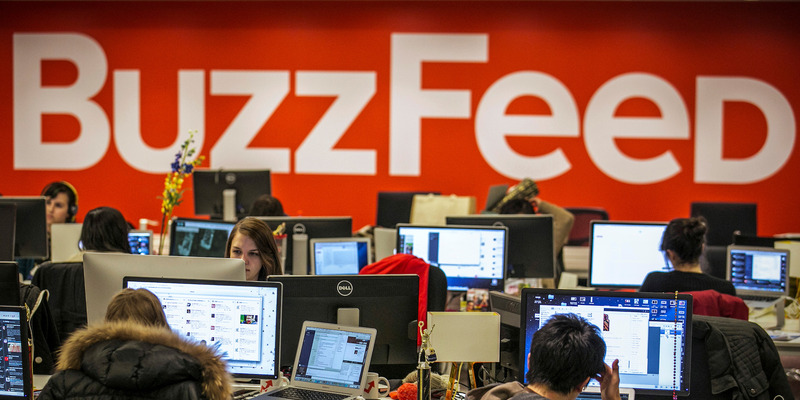 BuzzFeed's editor in chief issued a statement detailing the outlet's reporting, but the company has not retracted the story. When BuzzFeed reported on January 17 that President Donald Trump ordered his former fixer Michael Cohen to lie to Congress about plans for a Trump-branded skyscraper in Moscow, the upstart outlet framed the story as a revelation of historical importance — "the first known example of Trump explicitly telling a subordinate to lie directly about his own dealings with Russia" — and a vindication for BuzzFeed's ambitious newsroom. Unlike other bombshells to emerge from the Russia investigation, this was the first to unambiguously accuse the sitting president of committing such a serious crime — an impeachable offense, many said. And the story's headline — "President Trump Directed His Attorney Michael Cohen To Lie To Congress About The Moscow Tower Project" — lacked any caveats or hedges. Moreover, the reporters Anthony Cormier and Jason Leopold said Mueller's team had documentation showing Trump instructed Cohen to lie. This is a preview of a research report from Business Insider Intelligence,Business Insider's premium research service. To learn more about Business Insider Intelligence, click here. Current subscribers can read the report here. Third-party logistics (3PL) providers have been the cornerstone of retail supply chains for decades. 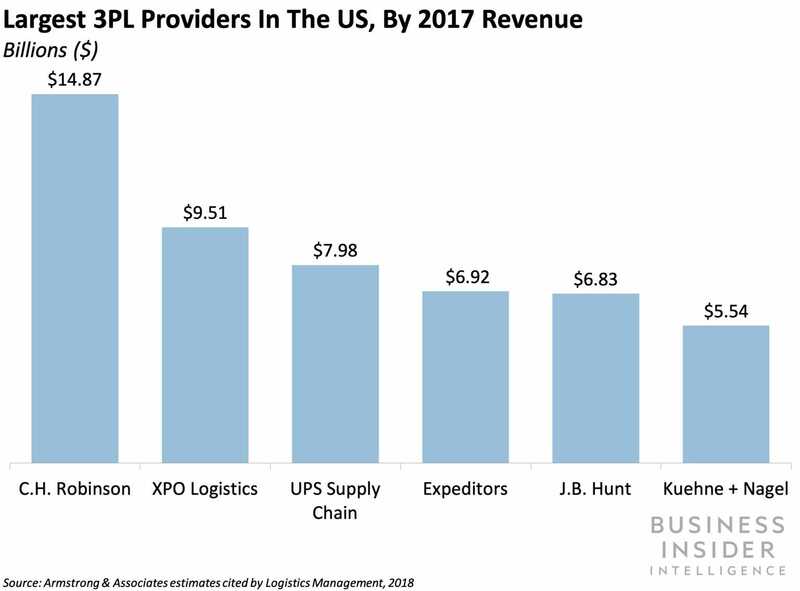 3PL providers are defined by the Council of Supply Chain Management Professionals (CSCMP) as "a specialized company that handles the outsourcing of much or all of a company's logistics operations." Brad Buss and Linda Johnson Rice will not pursue reelection to the board at Tesla's stockholders' meeting in June. And in 2020, Steve Jurvetson's tenure will officially end. Jurvetson has been on leave following accusations of sexual misconduct at his venture-capital firm Draper, Fisher, Jurvetson in 2017. 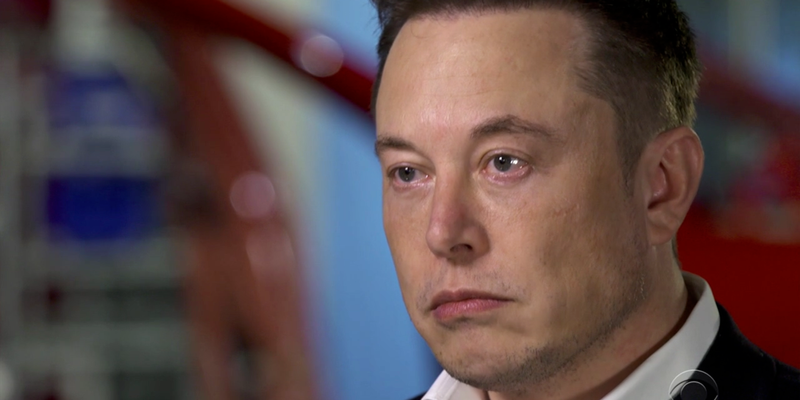 A fourth independent director, Antonio Gracias, would also bow out in 2020 if Tesla stockholders approve a proposal to reduce director terms from three years to two. If that proposal fails, Gracias would instead exit in 2021, the electric-car maker said. The shuffle comes as CEO Elon Musk and the Securities and Exchange Commission negotiate terms governing Musk's activity on Twitter, a matter on which the chief executive and federal regulators have locked horns in recent months. Brad Buss and Linda Johnson Rice will not pursue reelection to the board at Tesla's stockholders' meeting this June. And in 2020, Steve Jurvetson's tenure will officially end. Jurvetson has been on leave following accusations of sexual misconduct at his venture-capital firm Draper, Fisher, Jurvetson in 2017. Wall Street investment banks are spending more on tech and eliminating rote tasks that used to go to junior staff. But the banks aren't cutting back on their crops of recent college grads — if anything, they're relying more on younger workers. Analysis of FINRA records by efinancialcareers shows that nearly one-fifth of Finra-licensed employees at the big New York banks are brand new to the business. 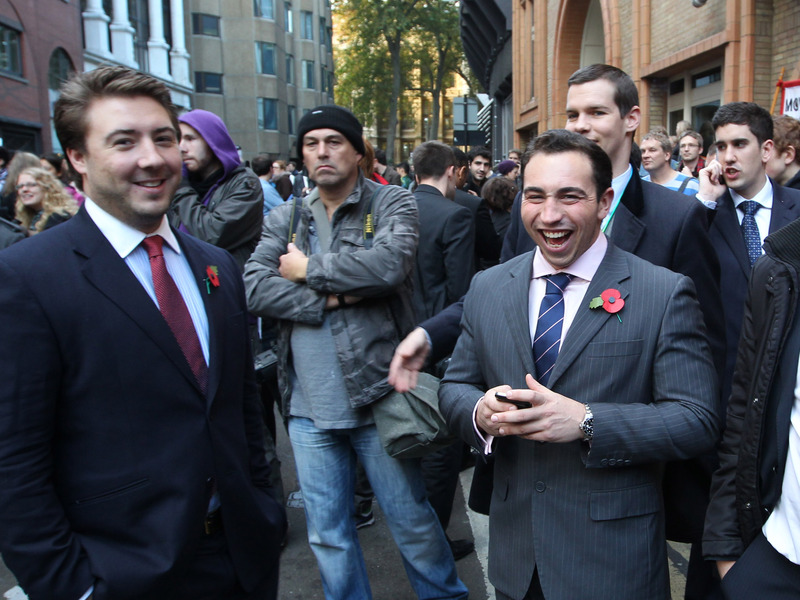 Some banks, like Barclays and Goldman Sachs, rely more heavily on first years than others. As Wall Street banks spend billions to upgrade technology and automate tasks, the mundane and tedious work that used to define the early years of a career at an investment bank is increasingly disappearing, with bots and algorithms springing into action to take over. JPMorgan Chase, for instance, is digitizing dealmaking, using machine learning for elements of underwriting stocks and bonds and saving hundreds of thousands of hours of work in the process. Goldman Sachs is automating initial public offerings, stripping out half the roughly 130 steps in the process and delegating them to computers. 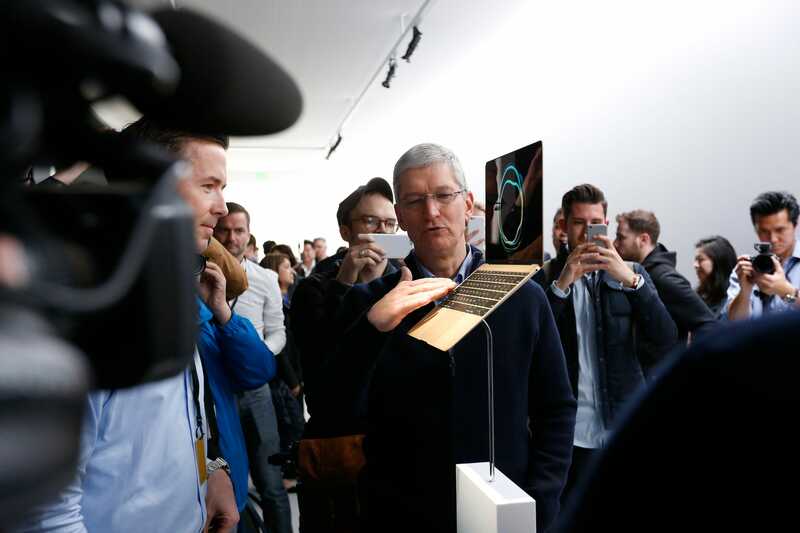 The report comes after Apple has brought other iPhone features like Siri to the Mac in recent years. Apple is also reportedly working on a way to help developers make apps that work across both iOS and macOS operating systems. Apple is reportedly planning to bring iPhone features like Siri Shortcuts and Screen Time to the Mac operating system, another move that could further bridge its mobile and desktop software. The additions will be part of a new update called macOS 10.15 that's expected to be announced during the company's World Wide Developers conference on June 3, according to 9to5Mac. Siri Shortcuts is a feature that makes it possible for Apple's virtual assistant to make recommendations based on your activity, and it was introduced in iOS 12 last fall. Apple also offers a Shortcuts app users can download to further streamline tasks through Siri, and the report indicates this app will soon be available for the Mac, too. Unemployment numbers may not fully account for gig economy workers, who may self-report as being "employed" despite not being on payroll, according to a new report from the Federal Reserve Bank of Dallas. Gig workers do not have the bargaining power of payroll employees, so they may also account for slowing wage growth. 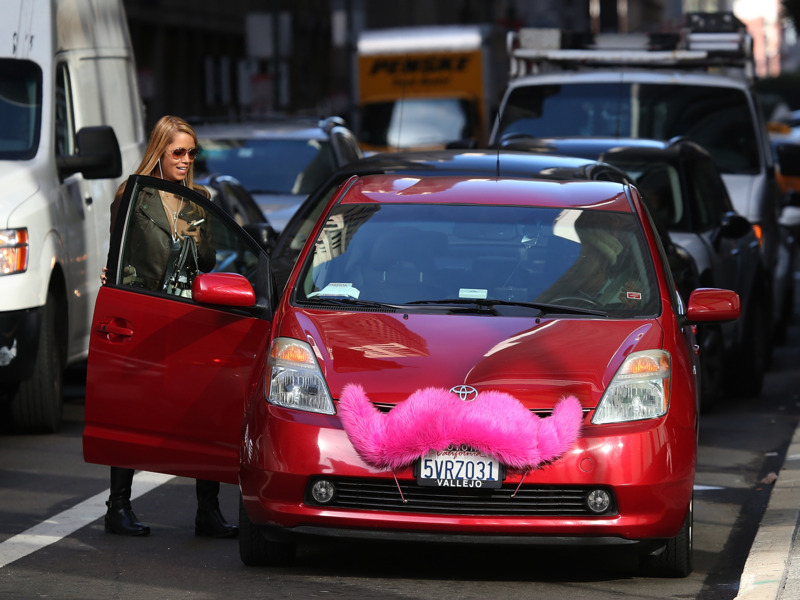 Uber and Lyft drivers make up much of the country's gig workforce, and they've long complained of the low pay and lack of benefits independent contractors deal with. While unemployment may be at record lows, the growing number of gig workers who aren't on payroll may be skewing the data, according to a new report. The Federal Reserve Bank of Dallas — one of 12 regional reserve banks that make up the centralized Fed — found that although unemployment is low, wage growth has not increased. One reason could be the rise of gig workers: The report found that the number of workers who pay self-employment taxes has risen steadily over the last 35 years. 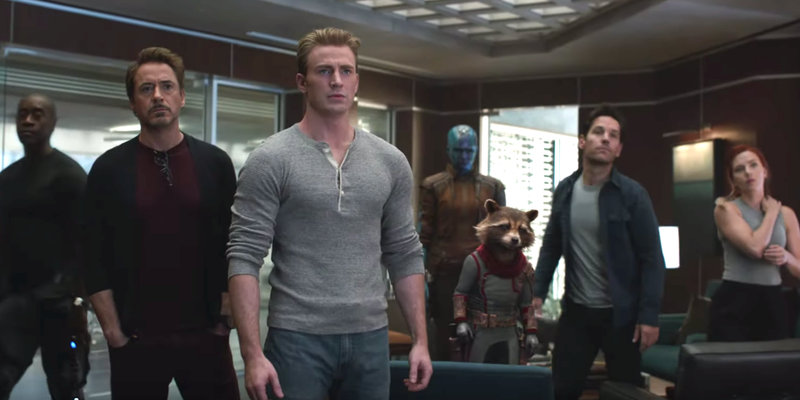 "Avengers: Endgame" is in theaters Friday, April 26, and we doubt all of our favorite heroes are going to make it out alive. INSIDER surveyed 760 Marvel fans to find out who they believe is most likely going to die in the fourth "Avengers" outing. People are most nervous about Captain America and Iron Man across the board. No one is expecting Captain Marvel to go anywhere. We're not expecting everyone to make it out of "Avengers: Endgame" alive when it comes to theaters Friday, April 26.
INSIDER polled 760 Marvel fans to see who they think is the most likely to die by the movie's end. There are a lot of characters in the Marvel Cinematic Universe. In creating our survey, we confined our choices to 32 survivors and fallen characters featured prominently on "Avengers: Endgame" posters. As a result, Thanos was not included here as a voting option. (Personally, I don't think he's going to die. I could be totally wrong though!) We wanted to focus here on the heroes. INSIDER asked fans to choose up to five surviving "Infinity War" characters they believe are most likely to die by the movie's end. We then asked them to select the one individual character they don't think will make it out alive. We then asked these two questions again with all 32 characters seen on the "Avengers" posters. INSIDER found that a lot of respondents decided to skip questions that involved characters who seemingly died in "Infinity War." Because of that, this list is focused around the surviving characters fans think are most likely to be killed by the end of "Endgame." They don't feel good about anyone who is close to Tony Stark. Most people think Captain Marvel, the most recent hero introduced into the MCU, is definitely safe. Keep reading to see who fans think won't make it out of "Endgame" alive ranked from least likely to most likely to be killed. At the end of our ranking, you can see the results of several questions laid out in graphs. Respondents to our "Avengers: Endgame" survey ranged in age from under 17 to 75 and older. The largest percentage of survey takers (41.2%) were between the ages of 18 to 24. 66.5% of respondents said they always keep up with the MCU films, and 343 of our survey takers said they live outside of the US and Canada. Our survey skewed male with 473 men and 248 women responding. There were 17 persons who preferred not to respond regarding their gender. Two preferred to self-describe. Banner was among some of the top characters when we asked fans to select up to five characters they thought might die in "Endgame." However, only two respondents believed he will be the one character most likely to die by the movie's end. 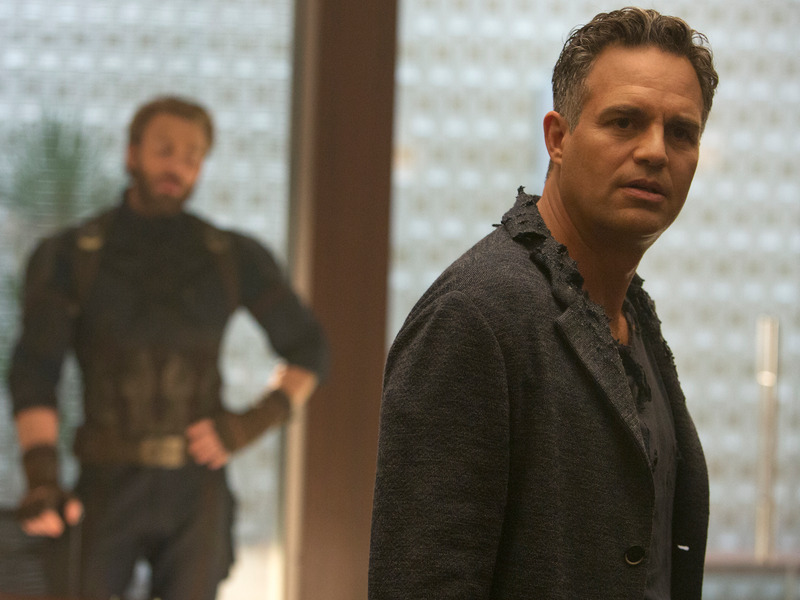 When INSIDER asked fans who may die out of 32 characters living or lost after the events of "Infinity War," only one respondent out of 367 who decided to answer the question thought Hulk would bite the dust. Our take: The Hulk probably isn't going anywhere. Ruffalo said in 2012 he signed on for a six-film deal. "Endgame" will mark his official fifth film. He had a cameo in "Iron Man 3." If the Hulk and Bruce Banner have patched things up in "Endgame" to work together, we'd love to see more of this new and improved Banner. The God of Thunder is definitely one of the most beloved characters in the MCU, but he's not one fans seem overly concerned about. Across the board, Thor was consistently near the very bottom when we asked fans to predict who they expected to die in "Endgame." It didn't matter whether or not the characters were confirmed alive after the snap or were among those who vanished. When fans were asked to choose up to five characters they thought were most likely to die in "Endgame," Thor was positioned nine out of 16 possible responses. Only eight respondents said they thought Thor was the one character most likely to die in "Endgame." When we asked fans what characters they would be the most upset over losing, Thor was always one of the top four heroes. 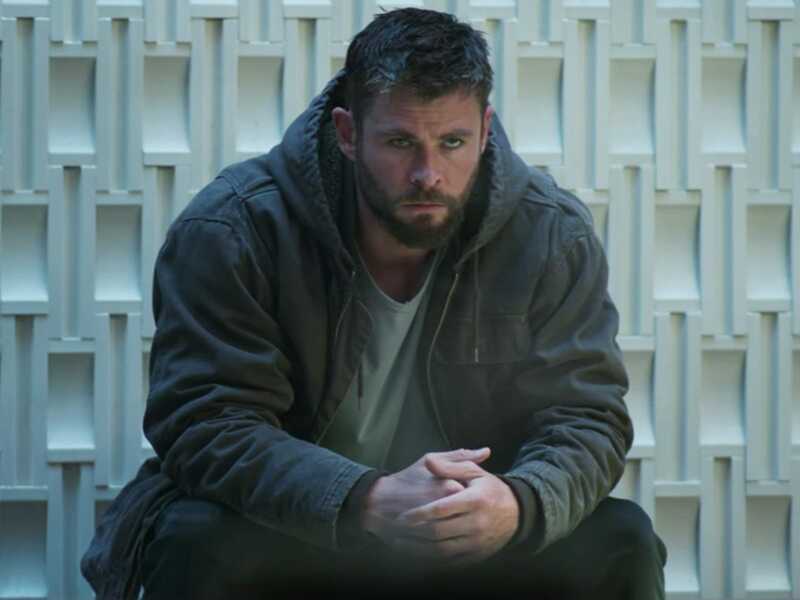 Our take: We hope Thor doesn't perish in "Endgame." His popularity skyrocketed after the evolution of his character in the hilarious "Thor: Ragnarok." Plus, according to Tessa Thompson, who plays Valkyrie in the Marvel Cinematic Universe, there's already talk of a fourth "Thor" movie. You can't have that without Hemsworth, right? "I heard that a pitch has happened for [another "Thor" film]," Thompson told the Los Angeles Times. "I don't know how real that intel is, but I hear that the pitch has happened. I think the idea is Taika [Waititi, who directed 'Ragnarok'] would come back." Fans don't think things are looking too great for Potts. When we asked about the characters in all 32 of the "Endgame" posters released, fans were less concerned about Potts and more worried for other superheroes. 58 respondents said they would be most upset by her death when they were allowed to select up to five characters who could die in "Endgame." Our take: Paltrow's days may be numbered in the MCU, but we're not certain we'll see her killed off. The actress confirmed in February to Variety she'll be retiring from the universe after "Endgame." A trailer for "Spider-Man: Far From Home" teased Potts will still be alive in the universe, and we know the movie takes place minutes after "Endgame." Paltrow said if she's ever needed for a flashback scene or for a day, she'll always be more than happy to step in for a day. This week we recommend watching "Sherlock," "The Great British Baking Show," and "The Good Place." Netflix's catalogue of televisions shows is constantly updating with new series to watch. 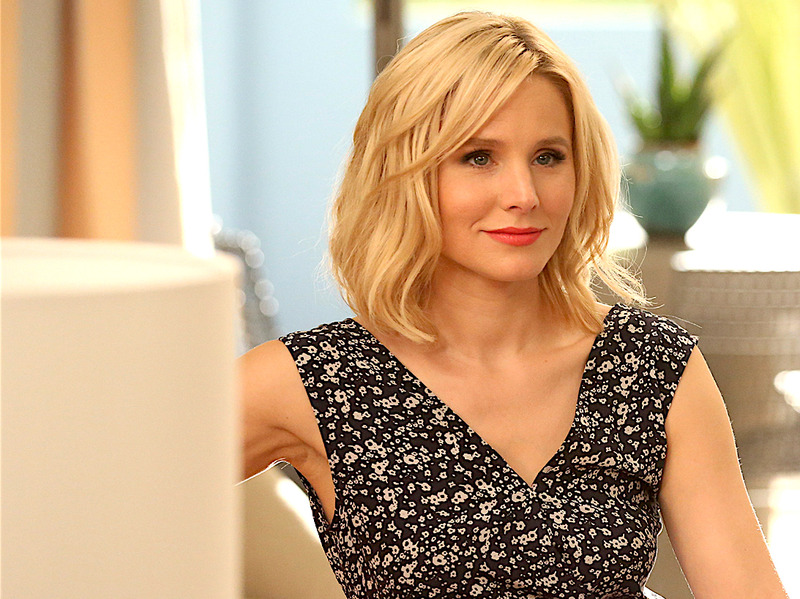 As always, INSIDER is here to recommend the three TV shows most worth your time this week. 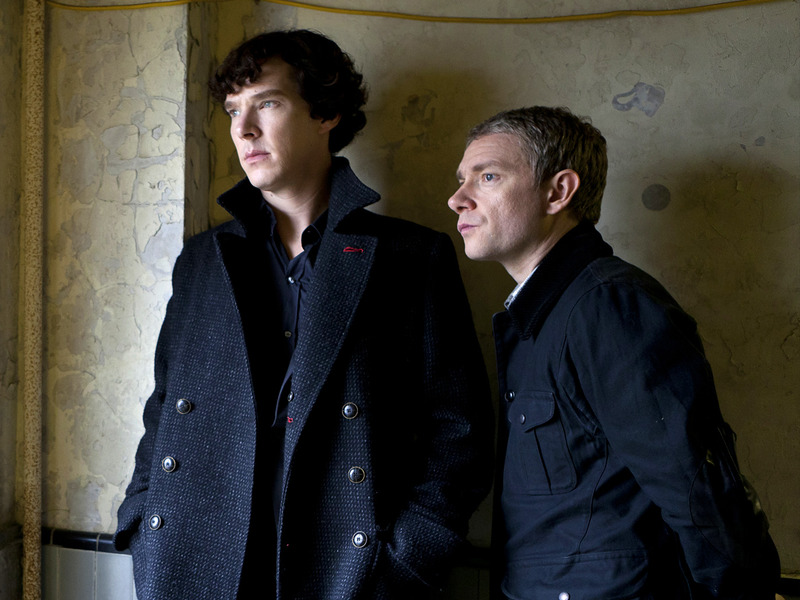 Let's start with Benedict Cumberbatch's acclaimed "Sherlock" series from BBC. Esports, which is short for electronic sports, refers to competitive video gaming watched by spectators. 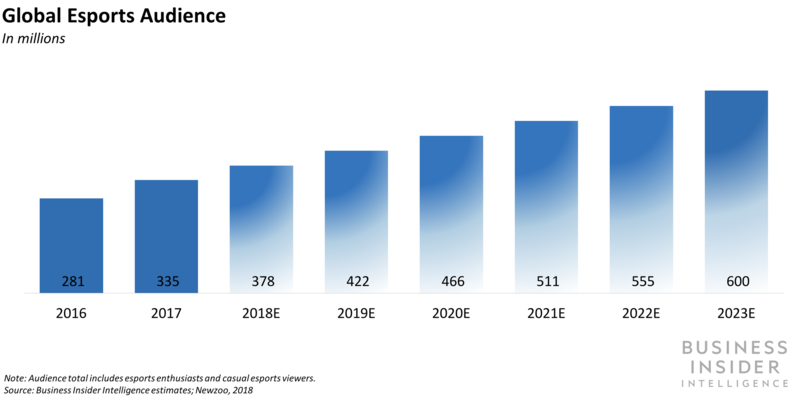 Esports are not as mainstream as traditional sports in the US, but the number of esports fans globally is still sizable. The worldwide esports audience reached 335 million in 2017, according to Newzoo. Ester Wojcicki — the mother of YouTube CEO Susan Wojcicki and 23andMe CEO Anne Wojcicki — has a new book coming out on May 7 about how to raise successful children. Wojcicki told Fortune in a recent interview that her approach can be applied by business leaders as well, and boils down to the acronym TRICK, which stands for: trust, respect, independence, collaboration, and kindness. 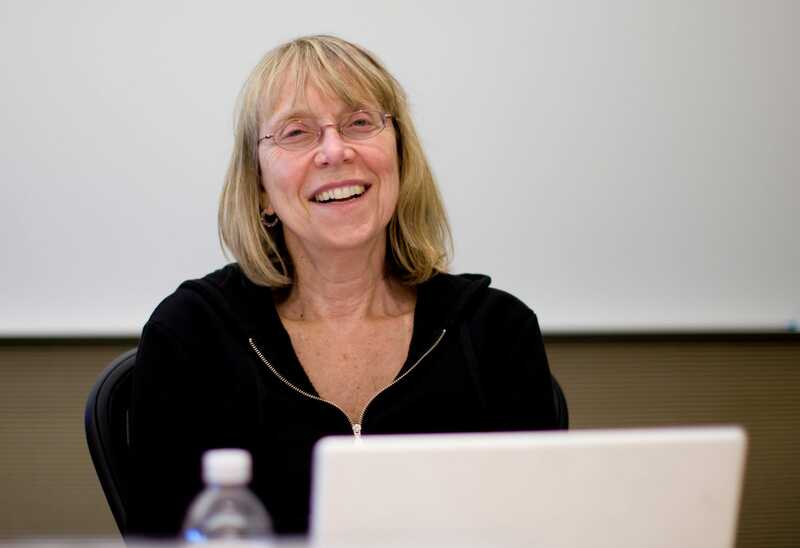 "If you treat employees the same way, if you believe in them and give them an opportunity to perform, then they believe in themselves," Wojcicki told Fortune. Read the full Fortune interview with Ester Wojcicki here. When your children get into a good college or land a fancy job, some people might ask for secrets on how you raised them. But when your kids turn out to be CEOs of some of the most influential and innovative companies in the world — they'll ask you to write a book about it. That what happened to Ester Wojcicki — the mother of YouTube CEO Susan Wojcicki and 23andMe CEO Anne Wojcicki. Chasten Buttigieg, who is married to South Bend mayor Pete Buttigieg, has become a popular figure in his own right. The 29-year-old junior high school teacher's wit, intimate social media musings, and polished speeches have prompted glowing media coverage and declarations that he's "winning the 2020 spouse primary." Chasten has already said that as the country's inaugural first gentleman, he'd focus on improving public schools, access to arts education, and mental healthcare. If social media presence is any indication, Chasten Glezman Buttigieg is the most popular 2020 presidential spouse on the trail. 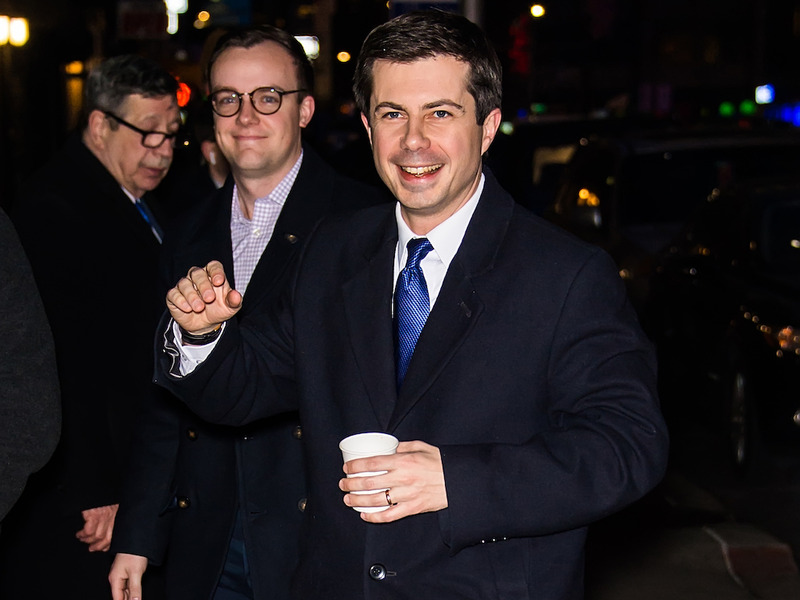 South Bend, Indiana mayor and 2020 contender Pete Buttigieg's husband has amassed national name recognition as his husband launched from relative obscurity to one of the most talked-about Democrats in the 2020 race. While his husband welcomes the new attention, Chasten is quick to poke fun at it. 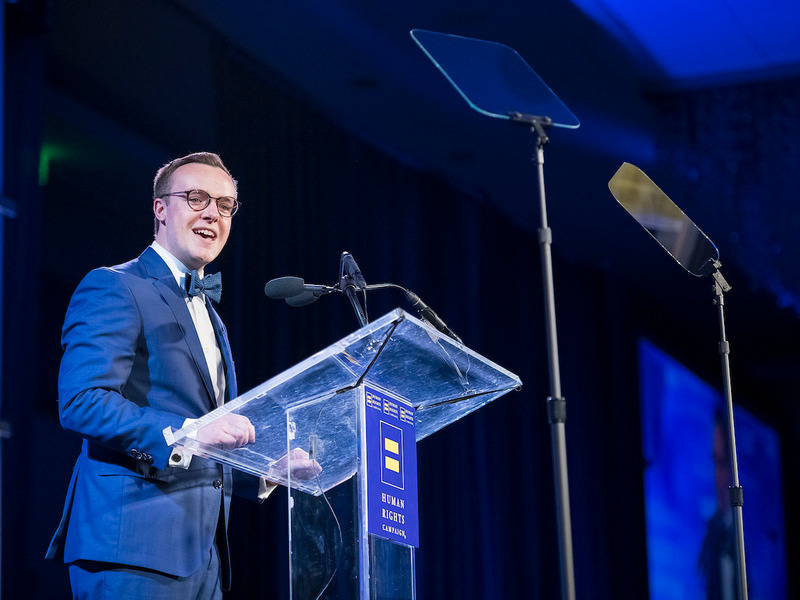 "Being Pete's husband has already been the adventure of a lifetime," he told the crowd at a Human Rights Campaign annual dinner last week. "I now live in a world where people take photos of me in the deodorant aisle at the grocery store." His regular wit, intimate social media musings, and polished speeches have prompted glowing media coverage and declarations that Chasten is "winning the 2020 spouse primary." 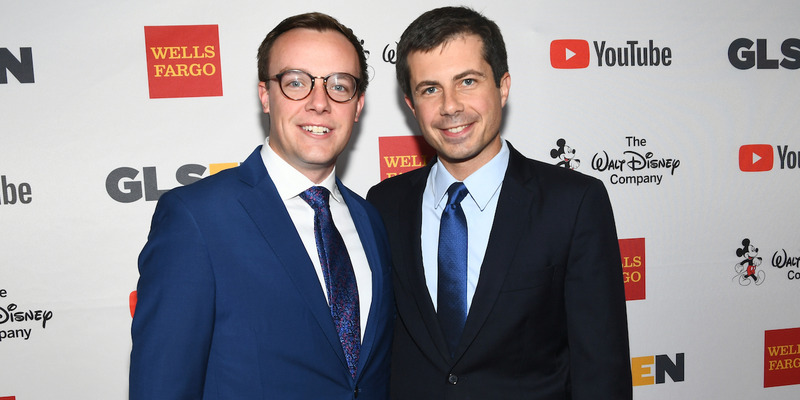 The Buttigiegs (pronounced "BOOT-edge-EDGE") are in part campaigning on their identity as gay men. Mayor Pete, as people in South Bend call him, is the second-ever openly gay man to run for president. "I could be the first man in history to pick out the White House china," Chasten, an improv comedian, said to cheers during his HRC speech. Chasten is taking a break from his day job as a junior high school humanities and drama teacher at a South Bend Montessori school to work full-time on his husband's presidential bid. The couple have two rescue dogs they mention regularly on the campaign trail. 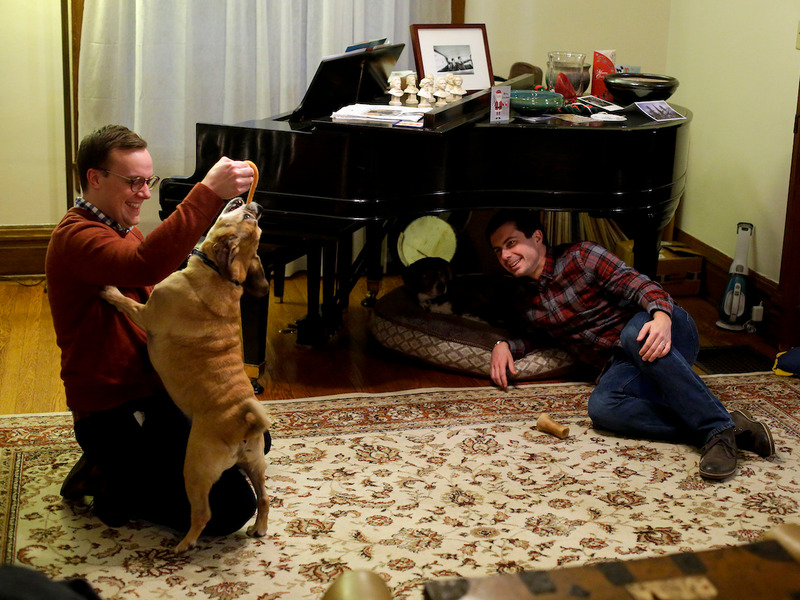 The first dogs of South Bend, Truman and Buddy, have their own Twitter account that Chasten runs. When Chasten tweeted at BuzzFeed News, asking it to write up a quiz about the first dogs, the media outlet followed through on his request. Chasten is probably best known for his Twitter presence, which is alternatively funny and heartfelt. But it's far from being perfect, making it hard to justify the nearly $2,000 price tag. Screen malfunctions aside, the crease is still very noticeable and there are some aspects of its design that require you to trade-off some convenience for that extra screen real estate. Still, it's an ambitious first look at where the smartphone industry may be headed. 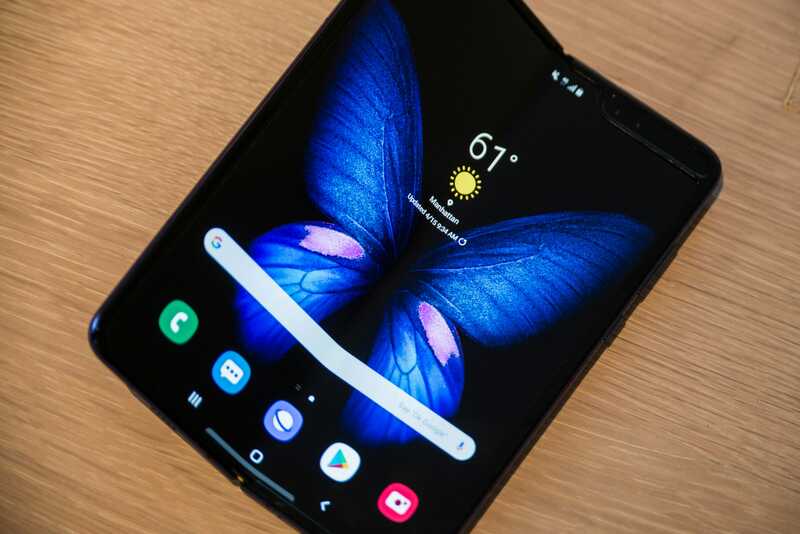 Samsung has been flaunting its flexible display technology for years, but the company finally showcased the culmination of those efforts with the Galaxy Fold, its $1,980 foldable smartphone that goes on sale April 26. The Fold features a 4.6-inch cover display on the front, which unfolds like a book to reveal a larger, tablet-sized 7.3-inch screen. Cameras are located on the front, back, and inside of the device so that you can take photos whether the phone is open or shut. The device supports facial recognition, so you can unlock the device just by looking at it, but there's also a fingerprint sensor located along the side of the device near the volume keys and the button that launches Bixby, Samsung's virtual assistant. It comes with a case and Samsung's new $129 Galaxy Buds in the box. Sen. Elizabeth Warren became the most prominent Democrat and first 2020 presidential candidate to call on the House to begin impeachment proceedings against President Donald Trump on Friday afternoon. Warren made her case the day after special counsel Robert Mueller's redacted Russia investigation report was made public by the US Justice Department. "The severity of this misconduct demands that elected officials in both parties set aside political considerations and do their constitutional duty," Warren wrote in a series of tweets. "That means the House should initiate impeachment proceedings against the President of the United States." 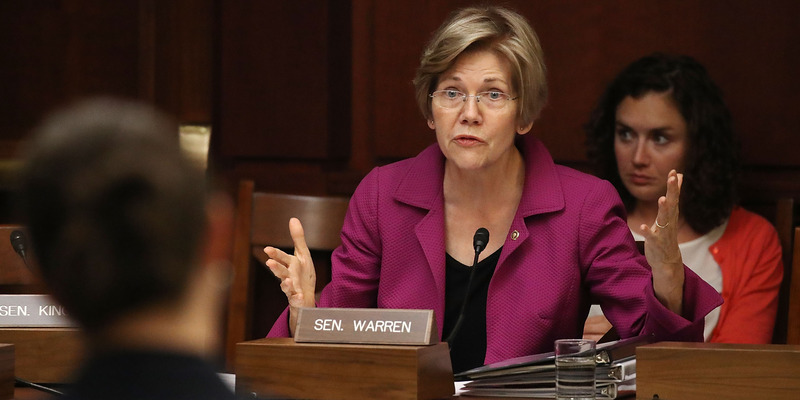 Warren made her case a day after the Justice Department released a redacted version of special counsel Robert Mueller's Russia investigation report, which did not find sufficient evidence to accuse the president of conspiring with the Russian government to interfere in the 2016 election. Hollywood Studios in Orlando, Florida, is celebrating its 30th anniversary at the Walt Disney World theme park. In honor of the occasion, Disney has unveiled a new line of food that will be sold throughout the park starting May 1. Parkgoers will be able to buy lightsaber-shaped churros, Mickey-inspired desserts, and birthday cupcakes, among other treats. In addition to its magical rides and attractions, Walt Disney World is also known for selling top-of-the-line food throughout the year. And on special occasions, the theme park has been know to introduce a new dish or two. Starting May 1, the Florida theme park will do just that when it begins celebrating the 30th anniversary of Hollywood Studios. In honor of the occasion, Disney has plans to introduce a new line of cuisine to the park, much of which will be entirely new creations. Parkgoers will also be able to buy "legacy menu items," which haven't been sold since the park opened, according to the Disney Parks Blog. From lightsaber-shaped churros to birthday cupcakes, get a glimpse of the upcoming treats below. 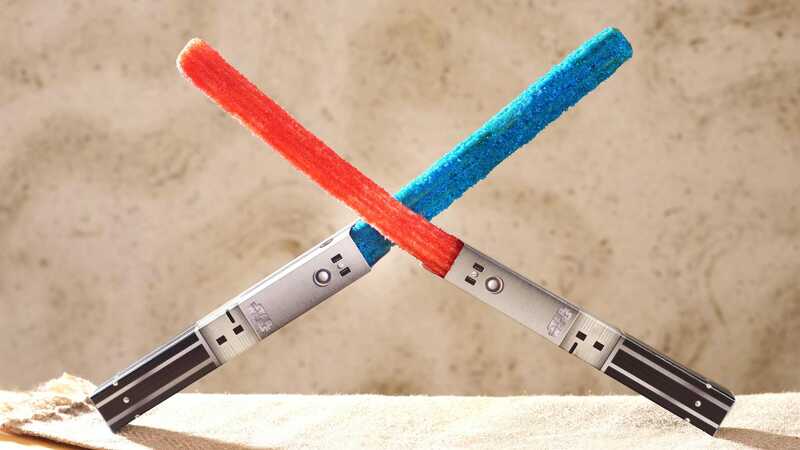 Some of the most anticipated treats on the upcoming menu are Lightsaber Churros. The treats will be coated in red and blue sugar, and packaged in silver boxes. They'll also be sold at multiple dining areas throughout the park, including Anaheim Produce, The Market at Hollywood Studios, Pretzel Palooza, and various churro carts. 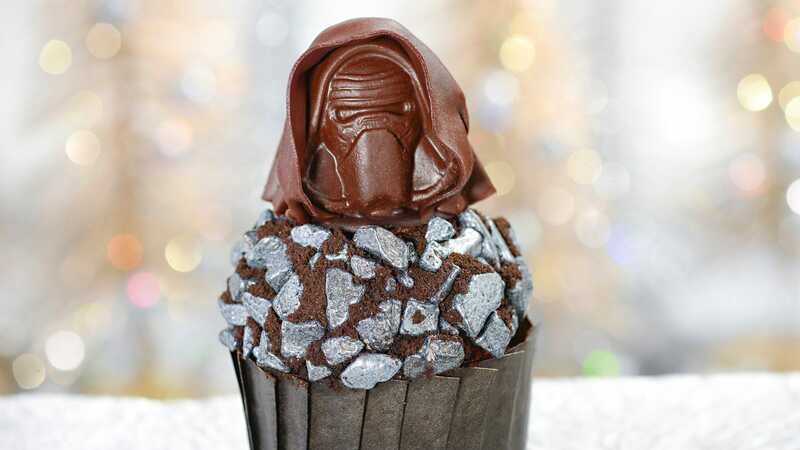 Another 'Star Wars' dessert on the menu is the Kylo Ren Cupcake. This dessert is flavored with peanut butter and chocolate, and includes a candy version of the character on top. Parkgoers can purchase the dessert at the Dockside Diner and Rosie's All-American Cafe. 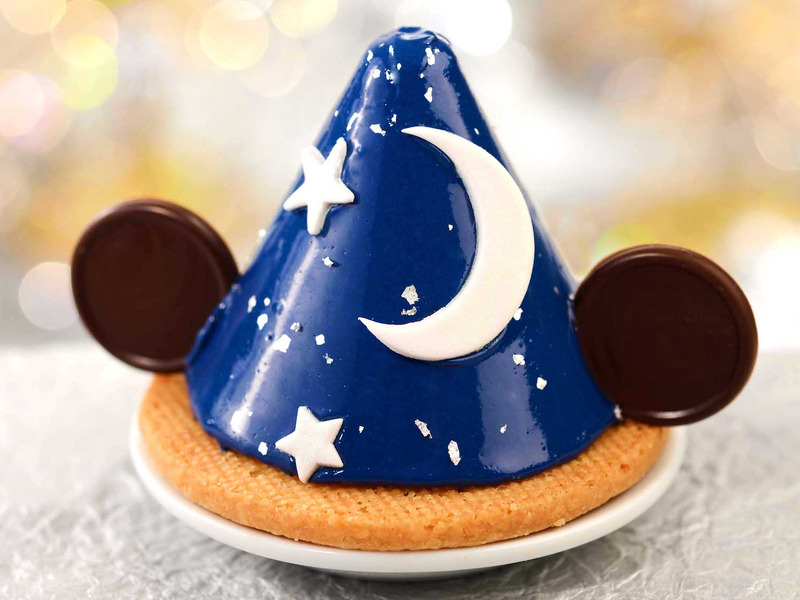 The Sorcerer's Hat dessert might invoke a sense of nostalgia among Disney lovers. 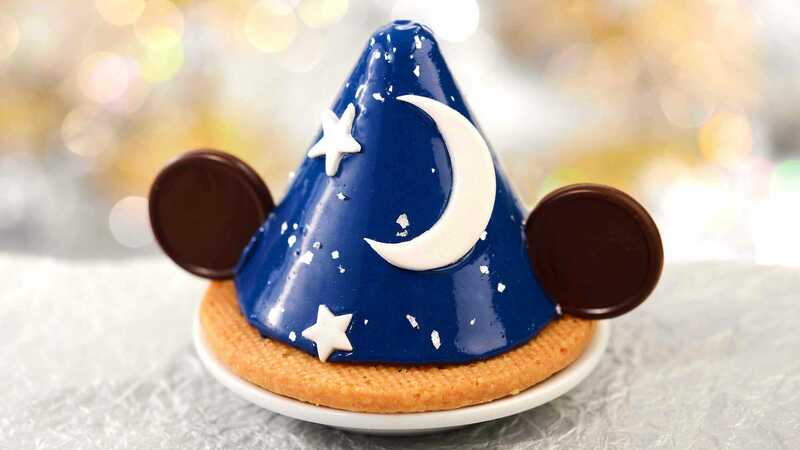 Not only does this treat look like the giant sorcerer's hat that was located in Hollywood Studios for 14 years, but it's also filled with lots of delicious ingredients. According to the Disney Parks Blog, the Sorcerer's Hat is made from "lemon sponge cake with vanilla Swiss buttercream, lemon curd, and white chocolate glaze." It can be purchased at the ABC Commissary and Fantasmic! Food Carts. Blu Sleep Essential Oil Pillows (currently $89 from Amazon) are infused with lavender, eucalyptus, citrus, chamomile, and green tea essential oils to help you relax as you sleep. But after sleeping on it for just one night, I realized that the pillow's memory foam technology is actually what made it a stand-out for me. 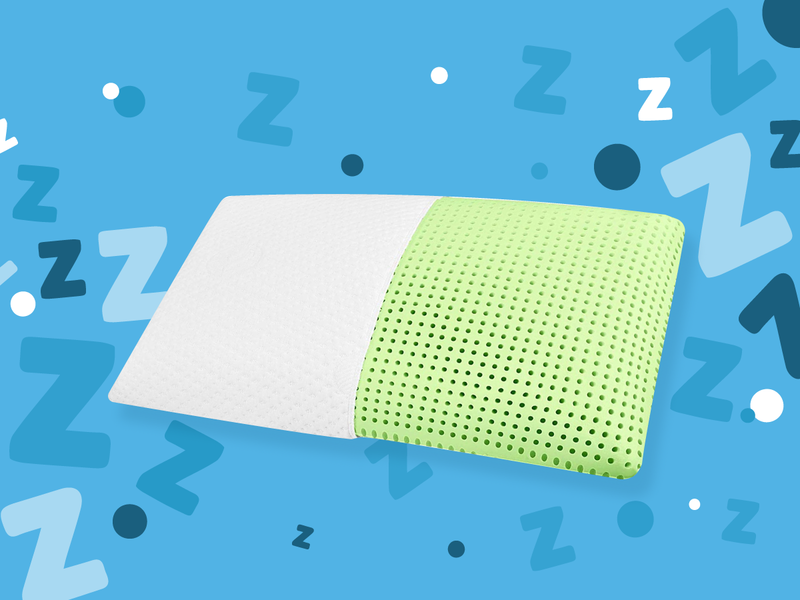 I've been using my Blu Sleep Green Tea pillow for more than four months and I've never slept better. When I moved to New York City in November, I lived in a completely empty apartment for more than two weeks while waiting for my things to be driven over from Michigan. Throughout this extended stretch of bleak domesticity, I slept on a leaky air mattress. Thankfully, my nights were improved by the first product I ever tested for Insider Picks — the Blu Sleep Essential Oil Pillow in the Green Tea scent (currently $89 from Amazon). Common symptoms of a hangover like headaches, nausea, and anxiety are caused by chemical changes in your body and brain that accompany drinking. Alcohol suppresses a hormone called vasopressin, which normally prevents you from urinating too much. Without it, you pee more and become dehydrated (cue morning headache). Other chemicals called proinflammatory cytokines are to blame for your flu-like symptoms, while changes in brain chemistry — not your choices last night — are responsible for so-called "hangxiety." Hangovers and the horrible headaches that come with them are caused by chemical changes in your body that take effect as soon you down your first drink. Ahhh. Your head hurts. You're nauseated. You're achy. And you're certainly: Never. Drinking. Again. The only thought running through your foggy mind is: Why are hangovers the absolute worst? Pickle enthusiasts can now purchase an inflatable pickle for the pool float of their dreams. The Rhode Island Novelty Giant Inflatable Pickle is 36 inches long and comes complete with a smiley face that would not be out of place on "VeggieTales." At the time of writing, just one pickle goes for $6.99 and a package of six costs $19.97 on Amazon. The Rhode Island Novelty website also sells a dozen pickles directly for $18. There are all kinds of wild pickle products available for purchase across the internet, like pickle chips, pickle sandwiches, and pickle juice slushies. Now, pickle enthusiasts can add to their collection with an inflatable pickle that makes for the ideal summer pool float. 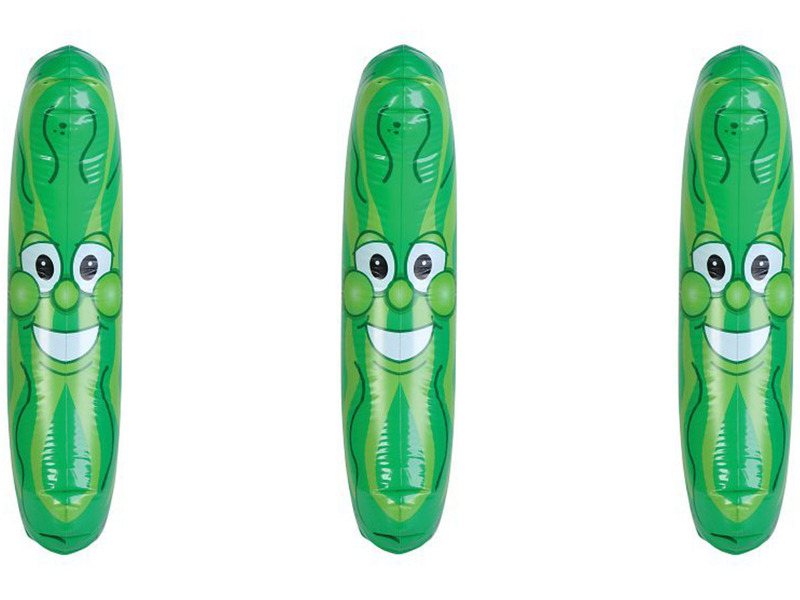 The Rhode Island Novelty Giant Inflatable Pickle is 36 inches long and comes complete with a smiley face that would not be out of place on "VeggieTales." Morning Consult conducted more than 400,000 survey interviews to determine the rankings. 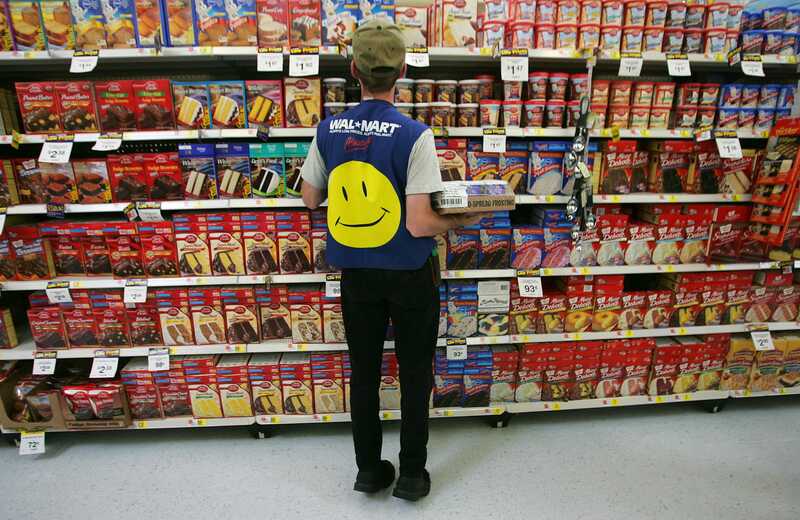 Retailers and tech companies fared well overall. Many of Americans' favorite brands are companies that are making it easier to access information and the things people need to buy. According to Morning Consult's Most Loved Brands study, released Wednesday, Amazon is the most beloved brand in America, despite weathering multiple controversies in the last year. Other tech companies, including Netflix and Google, fared well on Morning Consult's ranking, as did retailers like Home Depot and Lowe's. In ranking the brands, the intelligence company considered four factors: brand favorability, trust, community impact, and net promoter score, or how likely a respondent would be to recommend the brand. Combining the scores of these four factors, the company was able to give each brand an index score out of 400. Morning Consult conducted more than 400,000 survey interviews in order to assign a score to the brands, with each company receiving ratings from between 1,000 and 56,000 people over the age of 18. 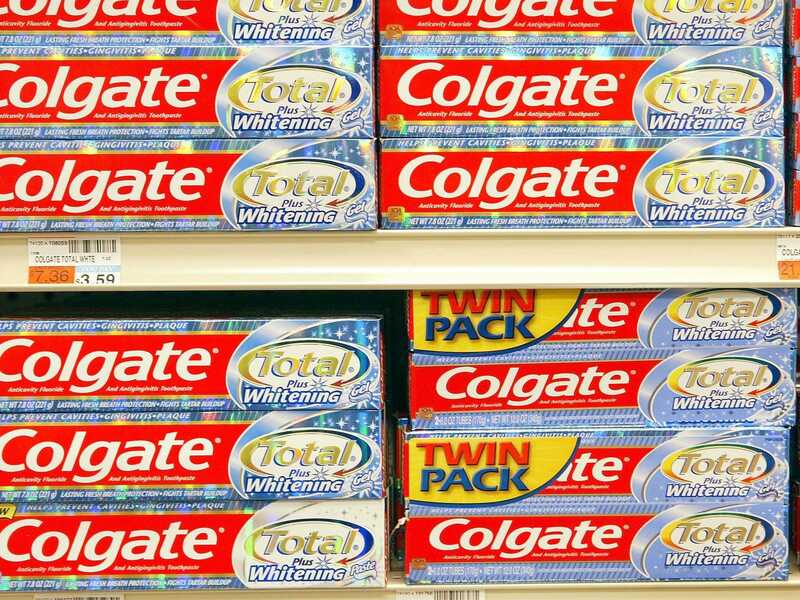 Millennials said Colgate was one of their favorite brands, unlike Baby Boomers who preferred Crest. 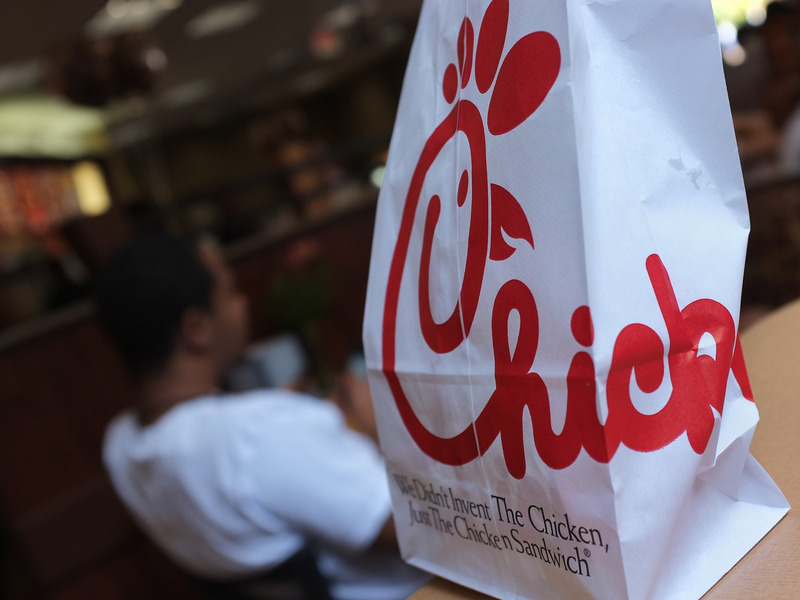 Chick-fil-A scored especially high among those who make over $75,000 a year and among those who live in suburban areas. 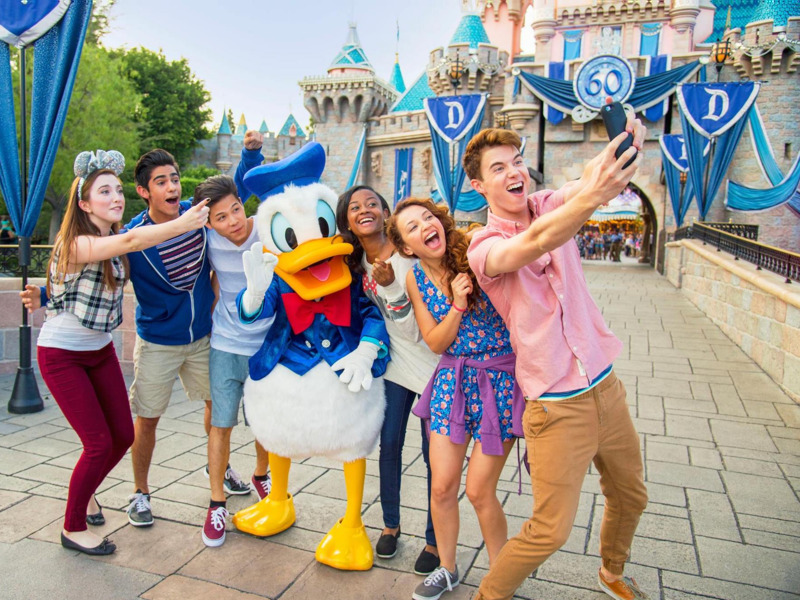 Walt Disney ranked especially high for millennials and for those living in suburban areas.